As “Scandal” wrapped up its seventh and final season on ABC, the political drama starring Kerry Washington as professional problem solver in the nation’s capital will leave behind a number of contributions to pop culture including catchphrases and a killer wardrobe. From her monochromatic white ensembles to statement pieces like a great bag, leather gloves and a white hat, Washington’s Olivia Pope brought some fierce style to Capitol Hill. Her wardrobe was so coveted, The Limited offered a “Scandal” collection by Washington and the show’s costume designer, Lyn Paolo. Saks Fifth Avenue even curated window displays with mannequins dressed like characters from the show. 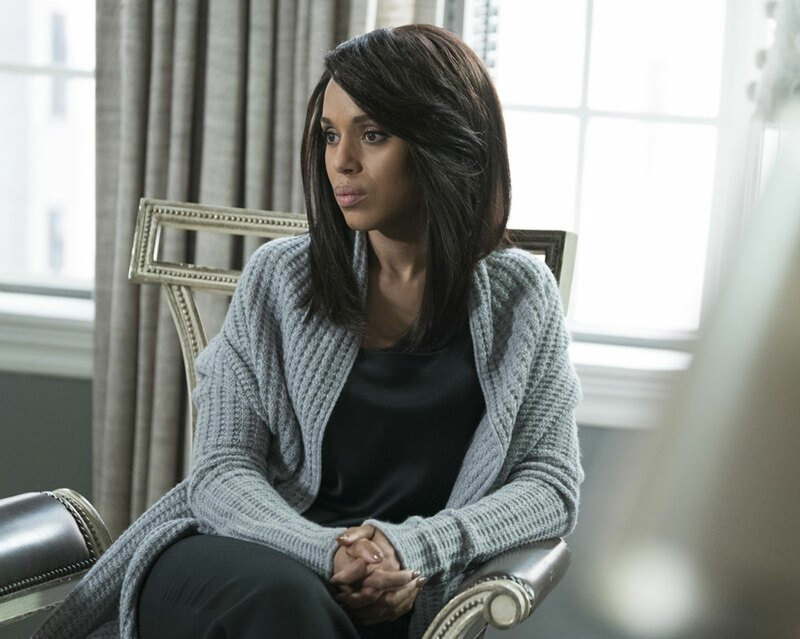 The dialogue on “Scandal,” wasn’t just fast (although the cast referred to the speed as “Scandal-pace”), it spawned some catchphrases that will long be remembered by fans. “It’s handled” is probably the most famous, because there never seemed to be a job too tough for Pope to tackle. Another popular one was “Gladiators in suits.” Ex-cast member Columbus Short made the declaration in the series premiere that the staffers at Olivia Pope & Associates weren’t just average employees, they were gladiators in suits, willing to take on any assignment and look great doing it. The characters of “Scandal,” gave some pretty passionate speeches too. Jeff Perry’s Cyrus Beene and Joe Morton’s Eli Pope had some especially memorable monologues over the course of the series. Morton was awarded a guest actor Emmy for his work on the series. The on again-off again romance between Olivia Pope and President Fitzgerald Grant was often dramatic, but not because of their race. Pope, a black woman and Grant, a white man, began their affair when he was a married man running for office. That continued when he moved to the White House. What made their relationship even more interesting was Pope was often sucked into Fitz’s orbit to fix a problem. She wore the pants and called the shots. Sure, it’s commonplace now for actors on TV to live tweet when their show is airing, but the “Scandal” cast were early adopters of the trend. It was so popular, ABC made sure to book Washington on a flight with Wi-Fi so she could tweet at 20,000 feet during its season three premiere. As fans know, Olivia Pope winds down with a glass of red wine, and she kicks back with the expensive stuff. (She liked to pair it with the fictional fast-food chain Gettysburger.) The other big drinker on the show is former First Lady turned first female President, Mellie Grant. She prefers to swig moonshine or “hooch” out of a mason jar.